scrappin it: How to Match Colors? Why is it some colors go so well with others and some don't? is it a matter of pesonal taste or are there rules we can follow? Today I'm trying to make sense of it and help you mix and match! There are three basic things you need to think about regarding color: the color wheel, color harmony, and the context of how colors are used. Red, yellow and blue. A primary color is a color that cannot be made from a combination of any other colors. All other colors are derived from these 3 colors. Green, orange and purple. A secondary color is a color created from a combination of two primary colors. Yellow-orange, red-orange, red-purple, blue-purple, blue-green & yellow-green. 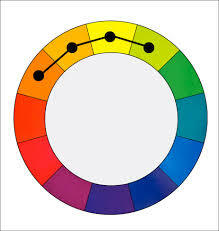 Tertiary color is a combination of three colors: primary and secondary. Hue – Is the name of the color itself, the dominant wavelength of light or the choice of pigment. Lightness (brightness) – Is the lightness or darkness of the color, the amount of light reflected or transmitted. Saturation – Is the level of white, black or grey, ranges from neutral to brilliant (pastel to full color). Value – How light or dark a color is. Aggressive - AKA 'Warm'. The yellows, oranges, and reds. These come towards the eye more (spatially) and are generally 'louder' than passive colors. Passive - AKA 'Cool'. The greens, blues, and violets. These recede from the eye more (spatially) and are generally 'quieter' than the aggressive colors. In visual experiences, harmony can be defined as a pleasing arrangement of colors, something that is pleasing to the eye. It engages the viewer and it creates an inner sense of order, a balance in the visual experience. When something is not harmonious, it's either boring or chaotic. Complementary colors are any two colors which are directly opposite each other, such as red and green and red-purple and yellow-green. These opposing colors create maximum contrast and maximum stability. Monochromatic – A monochromatic color scheme is a one-color scheme. 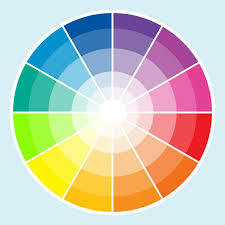 However, the color can be neutralized by adding its complement to lower the intensity of the color. Black and white can also be used to darken and lighten the value of the color. It is achieved by using one color or hue, utilizing that colors’ various tints, tones and shades. Color Triad – A triadic color scheme are colors that are an equal distant from each other on the color wheel. Any three colors equidistant around the color wheel form a triad and can be used in this color scheme (eg., red, yellow and blue). Semi-neutrals are mixed using two of the colors in the triad and the third can be added to further neutralize the pair. How color behaves in relation to other colors and shapes. Compare the contrast effects of different color backgrounds for the same red square. Red appears more brilliant against a black background and somewhat duller against the white background. In contrast with orange, the red appears lifeless; in contrast with blue-green, it exhibits brilliance. Notice that the red square appears larger on black than on other background colors. 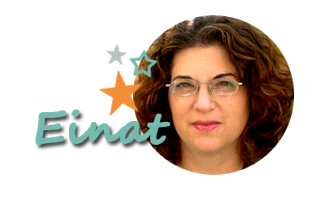 One of the online tools I like to use is by www.scrapbook.com. You can find out which colors match a specific color or a photo you want to use. For eacg color scheme it offers different options like monochromatic, complimentary and more. (I don't get paid to recommend this, i just like it). here's an example with a photo of me. What is your favorite color? Which colors do you like to use with it? Share with me in a comment. Excellent post today. Thank you for such wonderful explanations.